The future of sports food is...waffles? Last year, the Vermont-based company UnTapped made headlines by pitching pure maple syrup to help people recover after exercise. Not satisfied with their single-serving syrup pouches, they’ve expanded their breakfast-style recovery options with an energy bar that is, for lack of a better term, a “sports waffle.” And we’ve tried it. As strange—and strangely appealing—as the idea of carrying a prepackaged waffle around with you on a hike sounds, the actual product is more of a slightly chewy waffle cookie; it's more like Dutch stroopwafel than a full-blown fluffy waffle dripping in maple syrup. Despite dashing my dreams of wringing syrup from my beard, the ten-ingredient UnTapped Maple Waffle has a nice texture and is tasty, with a distinct touch of maple sweetness. Still, can a sports waffle really stand out as anything more than a novelty item? King thinks so. “We’re not reinventing the wheel here,” he says. He sees a place for his waffle alongside something like chocolate milk, which has gone from middle school cafeterias to professional sports locker rooms, picking up endorsements from everyone from endurance athletes to NBA players. UnTapped has already somewhat defied the odds. When the company launched with an Indiegogo campaign last year, they convinced nearly 800 funders to throw down over $50,000 (well beyond their goal) to get their recovery maple syrup off the ground. No such campaign was needed for their new Maple Waffles, which can already be bought on their website for around $2 a pop depending on what bulk you buy in. In my original article on UnTapped, I joked that if they want to “bring maple to the masses,” maybe they could bring some pancakes too. 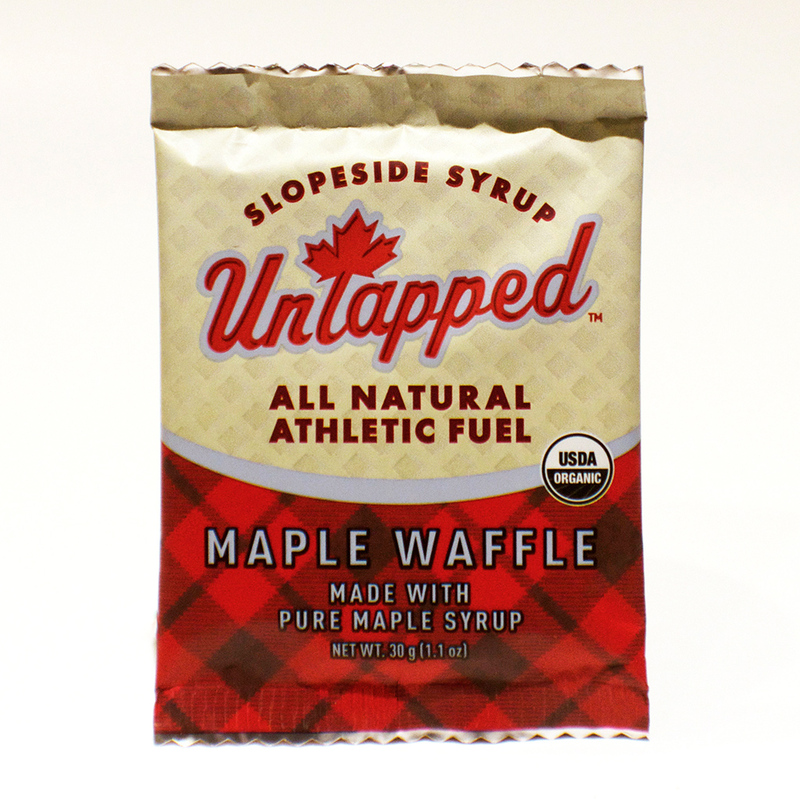 UnTapped would have you believe that these athletic waffles are just giving consumers what they want. At the very least, eating one is way more convenient than getting dragged out to brunch. Related: Is Beer the New Gatorade?